Popular 2 wheeler maker in India, Honda has now introduced updated versions of new Aviator and Activa-i. Both of these automatic scooters are getting fresh graphic paint schemes and would come with same powertrain as that of existing models in India. Mr Keita Muramatsu who is the president and along with Yadvinder Guleria who is the vice president of sales and marketing at HMSI (Honda Motorcycles and Scooters India and popular TV actress Taapsee Pannu who is Honda’s new brand ambassador, unveiled these 2 updated scooters ( Activa i and Aviator) in Hyderabad. As you know, Honda Activa-i is a very young and fresh-looking daily commuter scooter. The same Activa-i is now being offered in a Deluxe variant with eye catching floral graphics. 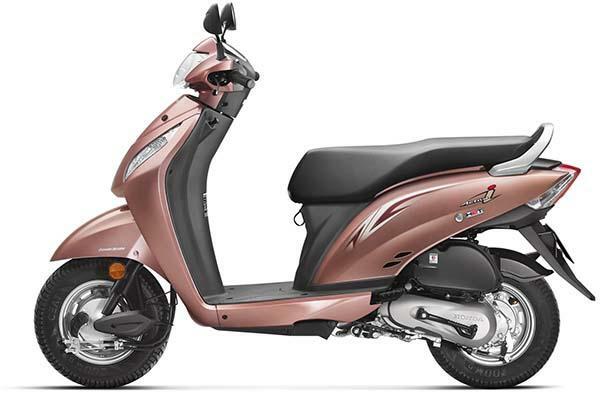 The all new Honda Activa-i is available in 2 colors – white and purple. The standard version of Honda Activa-i is available in black, white, beige and red colour schemes. 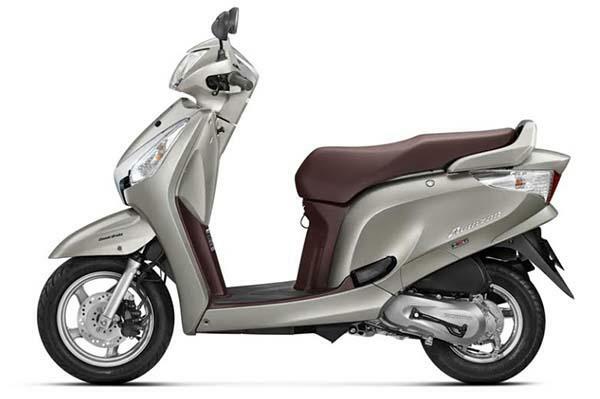 The price of Honda Activa-i starts from Rs 46,703 (ex-showroom, Delhi). Honda’s updated Aviator is equipped with bright splashes of chrome and five spoke alloy wheels. Honda Aviator also gets telescopic front forks for suspension. The refreshed Honda Aviator is offered in new silver color scheme and a new brown shade that covers its inner panels, which comes along with a new brown seat. The Price of 2015 Aviator is Rs 56,209 (ex-showroom, Delhi). Both the scooters come with the 109cc, four-stroke, air-cooled engine units that churns out 8bhp of power at 7,000rpm and 0.9kgm of torque at 5,500rpm.